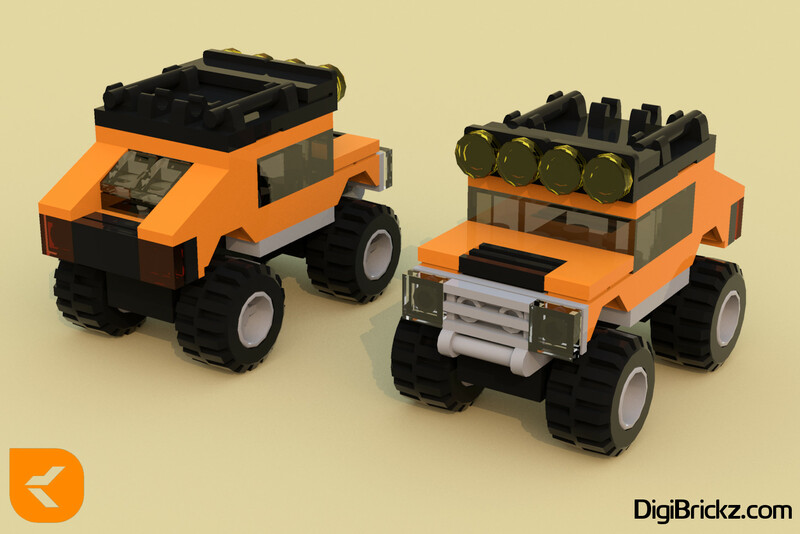 LEGO Heavily Modified 30283: Off-Road to a Hummer®! I like to create Official Sets (Also this Set) in LEGO Digital Designer (LDD) (You can see it here!). But I think, why the model just sit on my Computer. So i came up with idea to make the MOD (Modification) Series. This is the one, i will post some other or you can see it on my Flickr album. Because this is an Off-Road vehicle, why not MOD it to another Off-Road Vehicle. So i got an idea to build a Hummer®. By The Way, because the vehicle is Very Compact, it’s not as long like a Hummer® (or Not Proportional). Related Posts of "Heavily Modified 30283: Off-Road – Hummer®"